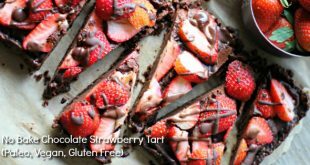 In THIS blog post, I confessed to you all about my dislike towards greens. I know they’re something I should eat, but in all honesty, I just don’t enjoy ‘em. It’s kind of embarrassing for a healthy living blogger to admit this, but I usually end up hiding greens in my food to get them down. THIS breakfast shake and THESE meatballs do an awesome job at disguising greens. I never even know they’re there, but I’m still getting the benefits from them. Anyone else out there have to hide their greens, too? So when I find something that actually tastes good to me with greens as the main ingredient (!!! ), I get pretty excited. 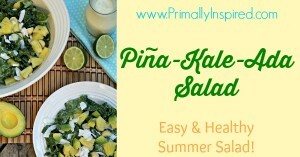 And I actually really love this Pineapple Kale Salad or as I like to call it “Pina-Kale-Ada” Salad. It’s refreshing, it’s different and it’s really tasty. And it just screams summer. Which I totally love 🙂 I even think this Pineapple Kale salad would be a yummy, healthy option to take to a summer BBQ or gathering. 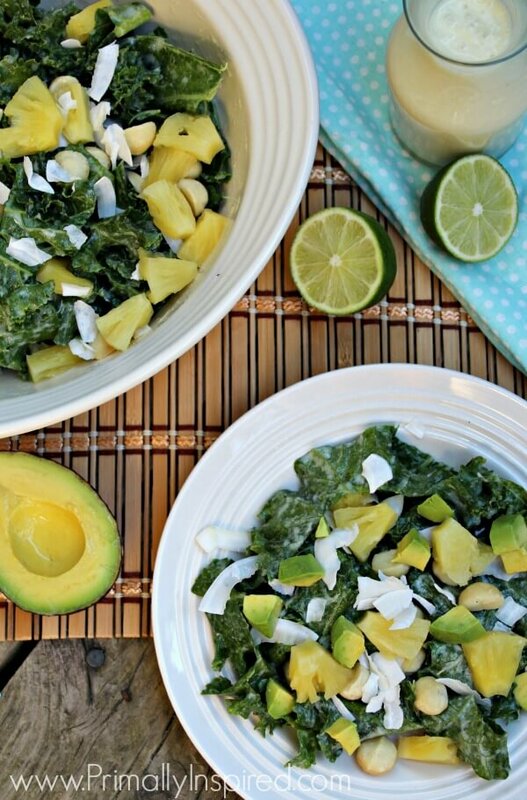 I prep the ingredients the night before and then let the creamy pineapple coconut dressing work it’s magic on the Kale. Kale can be tough and bitter (bleh! ), but the enzymes in the pineapple and lime soften the leaves and take the bitterness right out. It’s like magic! 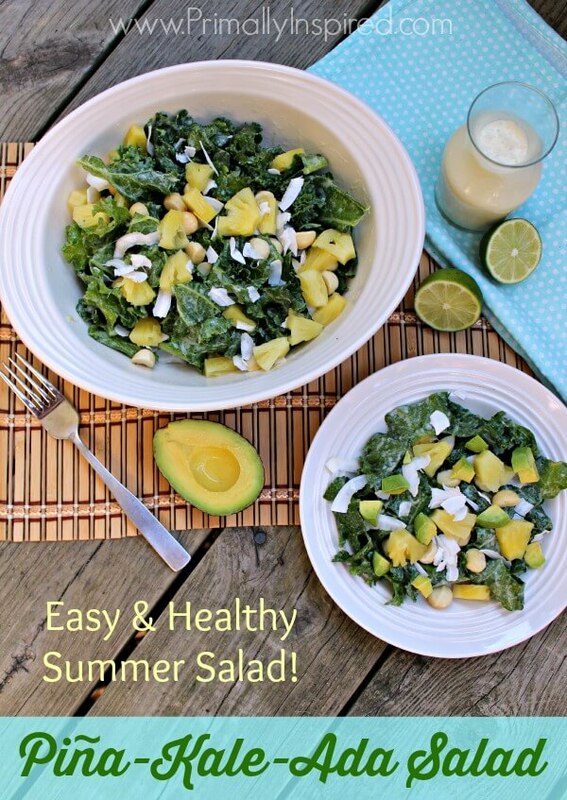 You’ll be left with a light and refreshing summer salad that I think you’ll really love (kale and all!). 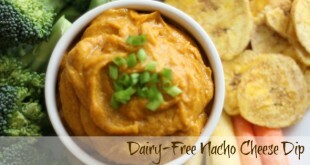 Blend together the 1 cup pineapple, lime zest and juice, coconut milk and honey in a blender until smooth and creamy. Pour ½ the dressing onto the sliced kale and massage the kale with the dressing for 2-3 minutes or until the kale starts to soften. 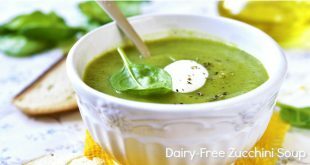 Place the kale and the remaining dressing in the fridge for at least one hour (but overnight is best!) or until you are ready to eat (I've even left it in there for 3 days and it's been perfect). 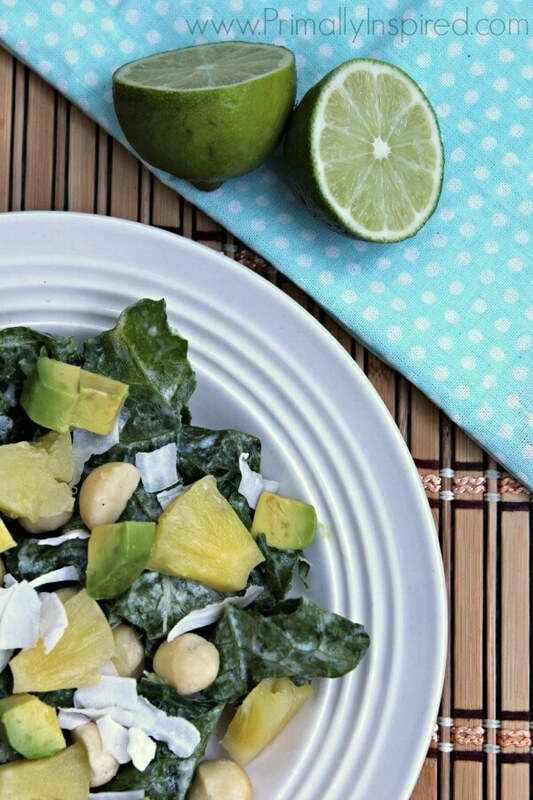 To serve, add ½ cup diced pineapple, diced avocado, macadamia nuts, coconut chips and any other toppings. 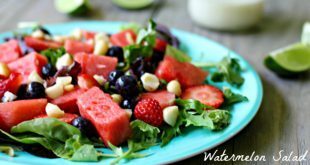 Serve with remaining creamy pineapple coconut dressing. Toss and Enjoy! I just bought some kale today and actually had all of the other ingredients on hand. Can’t wait to try this! I actually enjoy kale, but this sounds like a nice change from the way I usually prepare it.